Guest of honour Prof. Agnes Lam shared with students her experiences in “failures”. 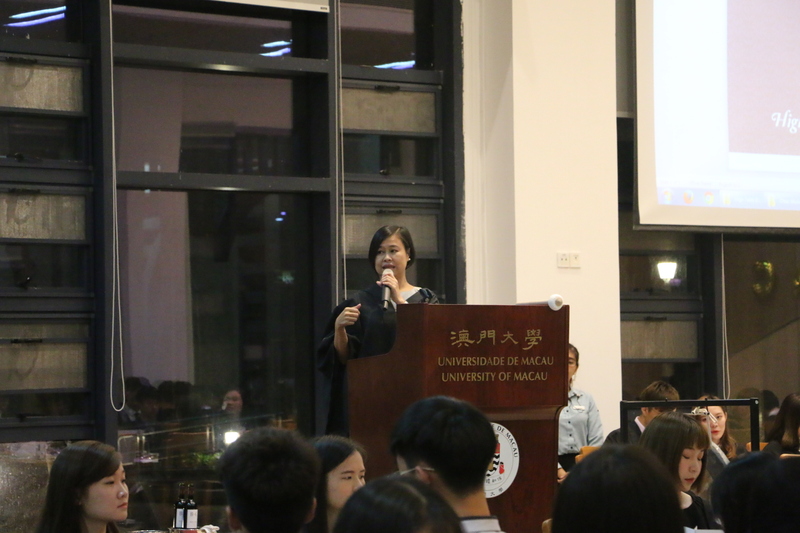 On the evening of 12th October, Stanley Ho East Asia College organised the commencement and the first high table dinner of the school year 2017/18 at the College Refectory. This event was also an iconic tradition of residential colleges. 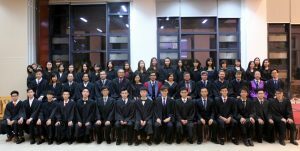 The College invited Professor Lam Iok Fong, Agnes as the guest of honor of the high table dinner. Professor Lam is a newly elected member of the Macao Legislative Assembly, the Acting Director of the Centre for Macau Studies, and Associate Professor the Department of Communication of the University of Macau. 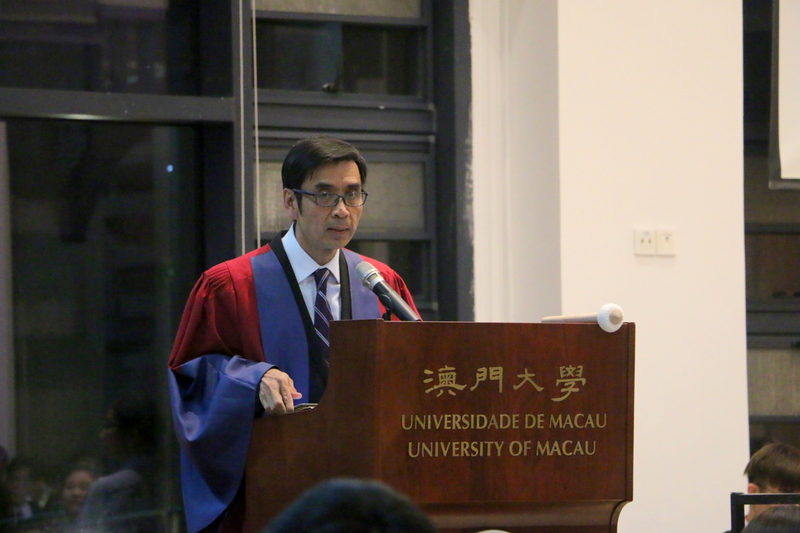 College Master Professor Iu Vai Pan hosted and joined the dinner with nearly 300 students and teachers. 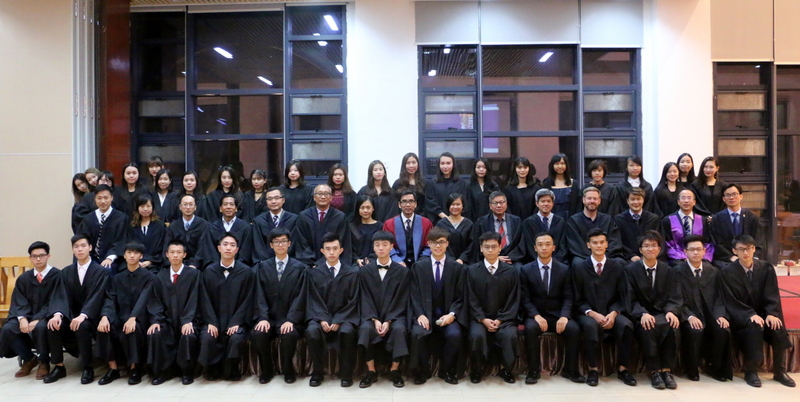 Guests and students joined together to take group photos. 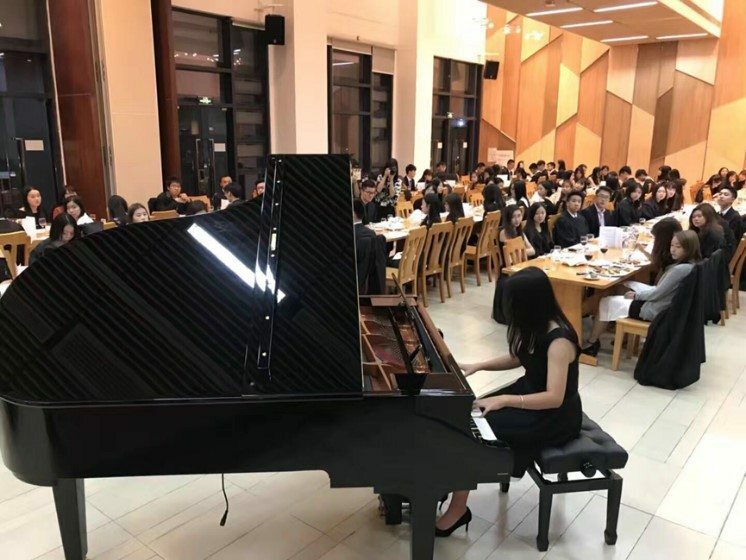 Li Yue performing the piano solo. Accompanied by the elegant classical music, guests at the High Table led by College Master proceeded into the Refectory, and the event commenced. 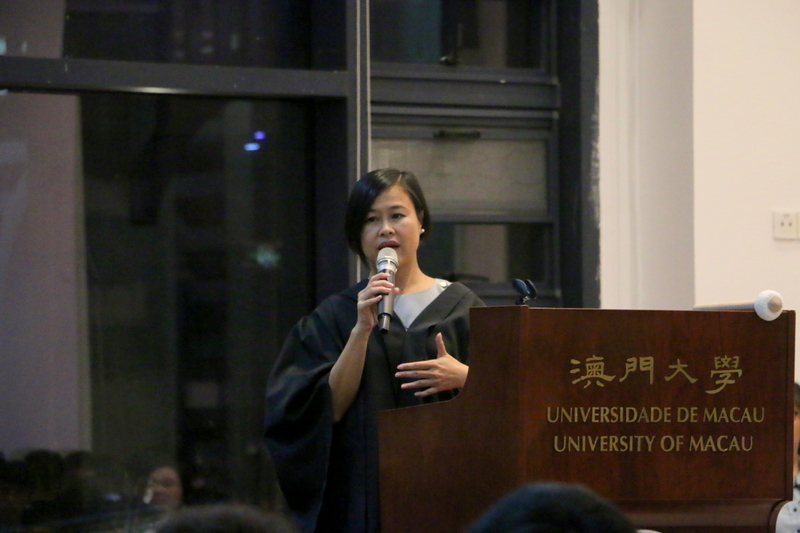 After the opening remarks by College Master, the guest of honour Professor Agnes Lam delivered an inspiring speech. She talked about her career path, and shared about her experiences in study, life and philosophy in facing “failures” and challenges. During the banquet, Li Yue (year one student majoring in government and public relations) played two piano pieces, “Nocturnes” and “Suffering”, leading the event to a climax. After the dinner, guests and students joyfully posed for group photos. College Master Prof. Iu Vai Pan delivering opening remarks.